disorders when acupuncture can help. use acupuncture as a standard treatment. Welcome to The Acupuncturists – the leading London acupuncture clinic. Acupuncture may have two thousand years of history, but it’s as relevant to good health today as it ever was. This remarkable ancient Chinese therapy helps to rebalance the body’s energy, boosting natural wellness, relieving musculoskeletal pain and improving symptoms associated with anxiety, depression, nausea, headaches and poor sleep. Now Archna Patel (MBAcC. Lic Ac. AFN. ACT) is helping people across Mayfair and London to experience the healing power of acupuncture for themselves. From a comfortable, relaxing and professional acupuncture clinic above Green Park tube station, Archna brings all her experience, passion and training as an acupuncturist to her work, helping people beset by pain, discomfort and emotional stress to feel well and enjoy life. Acupuncture painlessly uses special needles to stimulate the body’s natural healing chemicals, triggering a natural rebalancing of energy and wellness to significantly reduce or resolve the symptoms presented by the client. 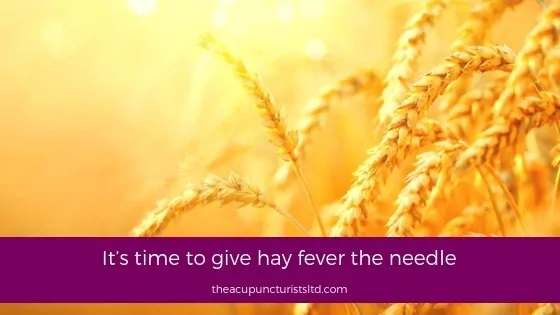 Archna trained as an acupuncturist after seeing the amazing benefits of the treatment for herself and as a result is passionate about helping people to feel well and empowering them to live the best life possible. She believes that acupuncture has the power to unite the power of the mind and body to promote natural healing and teaches techniques that allow her patients to positively influence good health outcomes. 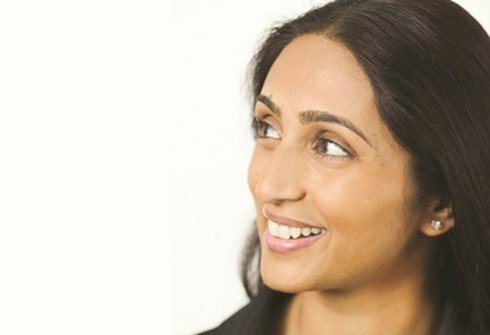 Archna herself has a particular interest in gynaecology and obstetrics and has previously helped and supported couples through fertility, pregnancy and birth. After originally training in western medical sciences, Archna is able to use this experience and unique perspective to combine her understanding of conventional modern medicine with ancient Eastern medicinal philosophy. The result is a powerful, effective and pain-free client experience that is offered with complete and total discretion, exemplary professionalism and a genuine passion that shines through in every consultation. There are many people living with pain or with a poor level of wellbeing who believe their condition is something they simply have to live with and manage. In fact, nothing could be further from the truth. If you want to unlock the full healing potential that lies within you, get in touch with us today and find out how we can put you on the road to better health and happiness. Book a consultation at our London acupuncture clinic. The World Health Organisation (WHO) lists a wide variety of diseases and disorders for which acupuncture therapy has been tested in controlled clinical trials. Archna’s original training in Western medical sciences, prior to her vocation in acupuncture, has enabled her to bridge the gap between the Western medical practice and the Eastern holistic approach. Archna has treated me for menopausal symptoms, for shoulder pain and for stress. She is an excellent acupuncturist, highly professional and a warm and caring human being. Having been sceptical at the beginning, I realised quickly that Archna’s treatments result in real improvements and alleviation of symptoms. I have total confidence in Archna and recommend her unreservedly. I have been seeing Archna for six months, after struggling with anxiety, stress and difficulties with conception. I was very nervous about approaching acupuncture, but Archna put me at ease within 2 minutes of meeting her. Her calm and reassuring manner helped me to relax, and she went out of her way to make sure that I was always comfortable and felt secure with the treatment options. My appointments with Archna are now little oases of quiet and calm; her treatments dropped my anxiety levels significantly, and I fell pregnant after just a month of seeing her! I truly believe this was a result of Archna’s healing and nurturing treatments, as well as her warm and caring presence. Despite reaching my goal of pregnancy, I am still seeing Archna to calm, soothe and invigorate me during this time, she is the best – thank you Archna. Archna Patel is a truly talented and professional acupuncturist. She has treated me successfully for physical issues (foot and back injuries), and also deeper emotional issues (stress, anxiety). The Acupuncturists clinic location near Green Park is super convenient and easy to find. I can’t recommend Archna highly enough and only wish I could give her more than 5 stars. I couldn’t recommend Archna highly enough! I’ve been seeing her for over a year now – for various reasons – including digestive issues and addiction. Archna is the warmest, most caring practitioner I’ve ever had the pleasure of knowing. She makes you feel completely at ease in the treatment and with her many years of experience, always knows just what to do. She is an integral part to my recovery and I feel blessed to have her in my life. I went to see Archna after being highly recommended by my sister. I found Archna’s caring and lovely nature made me feel completely comfortable, and I was amazed with the results I got after a treatment with her. As a mum of two my back had taken a battering along with my energy, I’m writing this now feeling like a new woman! So I now join my sister in highly recommending her to everyone! I’m really well looked after by Archna and feel my needs are being treated with care on a weekly basis. Would highly recommend to anyone! I have been consulting Archna for around 15 years. Her work never ceases to astonish me, and now I find there is no ailment that I would not ask her about. Most entrancing though, is her deep-sourced integrity and soulfulness. I have recommended her work to most of my friends and family and will continue to do so. Newsflash ladies! Your body isn’t perfect! Women ask a lot of their bodies during their lifetime, so it’s no wonder that sometimes they don’t work quite as perfectly as we’d like. 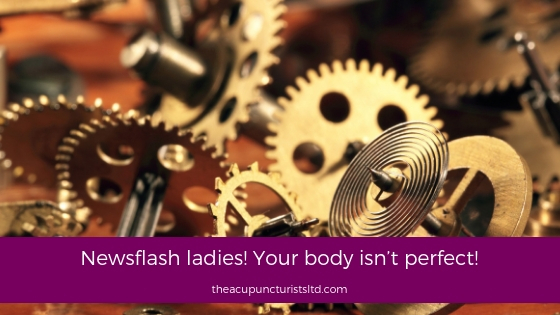 Read why acupuncture for women’s health can restore order. We ask a lot of our bodies during our life, so sometimes they don’t work as perfectly as we’d like. Read how acupuncture for women can restore the order. Humans are significantly more advanced than the most complex machines and computers in existence, yet we treat our IT, cars and appliances better than we treat our bodies. 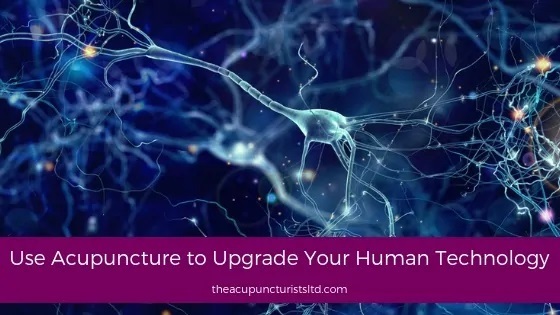 Find out how acupuncture can be used to upgrade our mental and physical technology. Humans are more advanced than the most complex machines, yet we treat our IT better than our bodies. Find out how acupuncture can upgrade our technology.